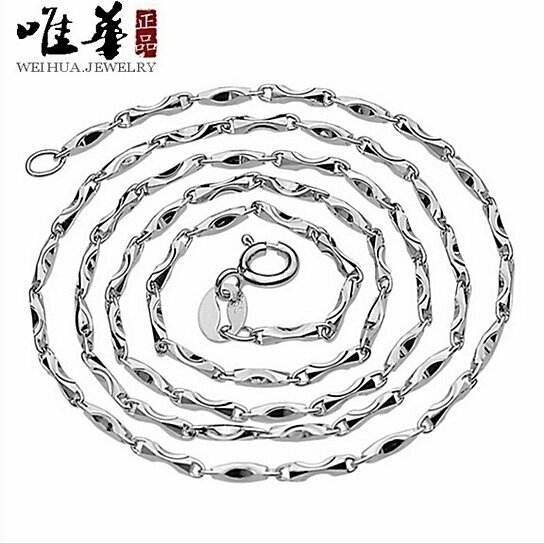 Fine or Fashion Fashion Item Type Necklaces Gender Women Necklace Type Chains Necklaces Metals Type Silver Plated Chain Type Snake Chain Material Zinc Alloy Length 45CM Style Cute Applicable people Woman women students children Applicable local Send Valentine send love send to friends Dear friend , welcome to my store! Please feel free to choose goods! We are at your service ! You can contact us directly or leave us messages !